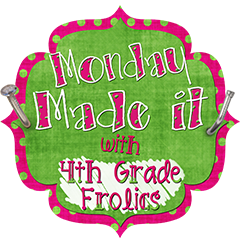 I'm linking up to 4th Grade Frolics for their Made It Monday! Click the button (after you read my post of course!) for more fabulous DIY projects teachers have made. 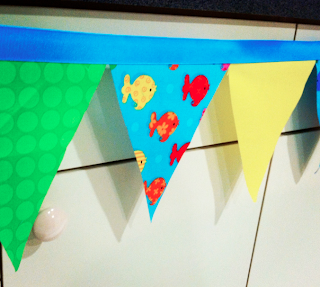 I have been so inspired seeing pictures of these fabric pennant banners popping up on Pinterest in classrooms. I think their the cutest and knew I needed to make my own. I found this awesome tutorial from The Inspired Apple here and followed it to a T. She gives great directions! It did take a lot of time (hour and a half) to cut out all the triangles. However, the ironing part was a breeze and went by quickly. My favorite part of this project is how inexpensive it is. 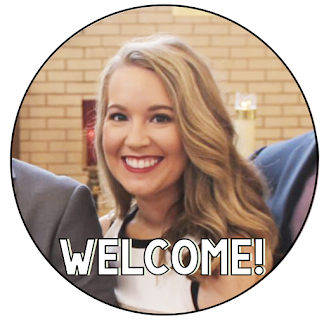 All you need is iron-on adhesive, ribbon, fabric, scissors, and an iron. My total cost was under $8.00! 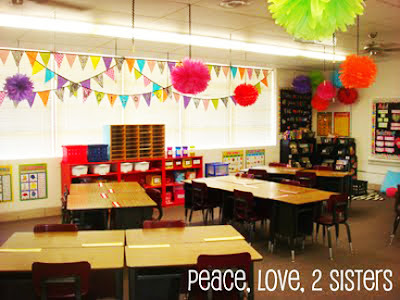 I ended up with this lovely banner I cannot wait to hang up in my classroom! 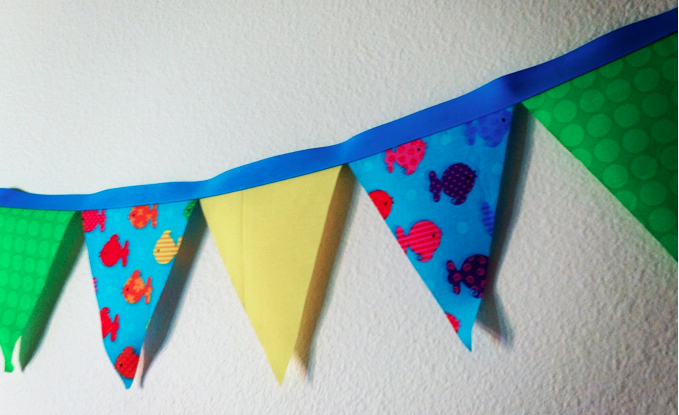 I made one really long banner from one of the spools of ribbon and filled up a 1/4 of the other spool of ribbon so I actually have two banners. Notice how the fish go opposite directions each time? And on the pennate to the right the fish are actually upside down but you don't really notice do you? 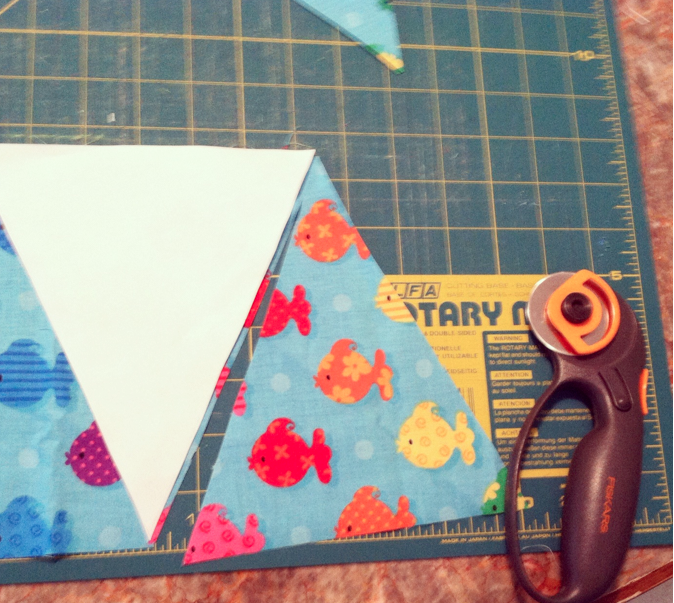 Make sure when you choose a fabric, it would look ok upside down since when you cut triangles some will end up that way. 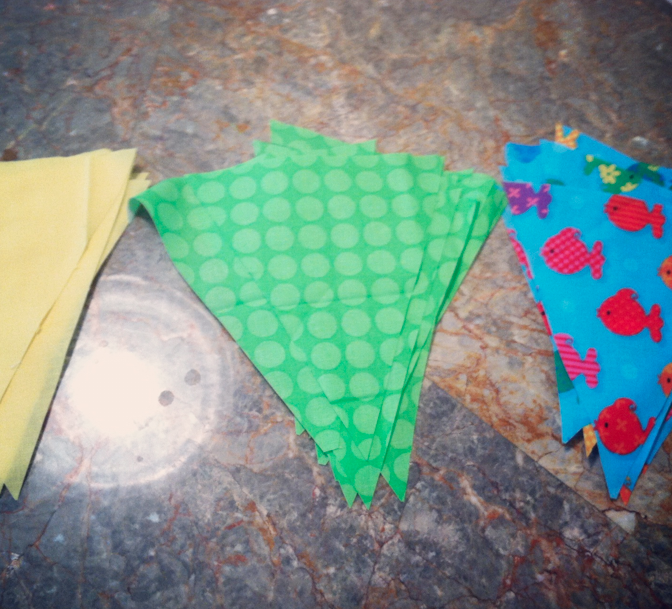 The hardest part was deciding what fabric I wanted to use. 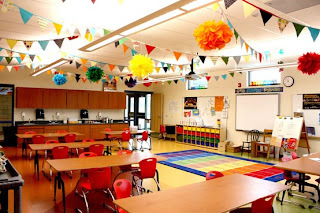 I decided on the blue fish print since my classroom theme is ocean/fish so it would tie in perfectly and it is setting the stage for the wide range of colors I could incorporate. I did't want to make it too specific of just greens, blues, and yellows. ps. Who is experiencing Tropical Storm Debbie in Florida?!? I am going crazy with the constant rain for day in and day out!! Make it stop! Anyone else with me? I am putting banners in my room this year too! I have an ocean theme also! I'm in the storm too!! Lots of crazy wind and rain!!! Thanks for linking up! Love your banner...yours is the second one I have seen today and super cute. Thinking I need to make one now!!!!! The banner is wonderful! I love how colorful it is. These turned out great. Something else to do this summer! I love your banner and I can't tell the fish are upside down unless you look really close. I think the color combination came out great. Your blog is really great. Nice, short, pictures and great ideas. Thanks for sharing.